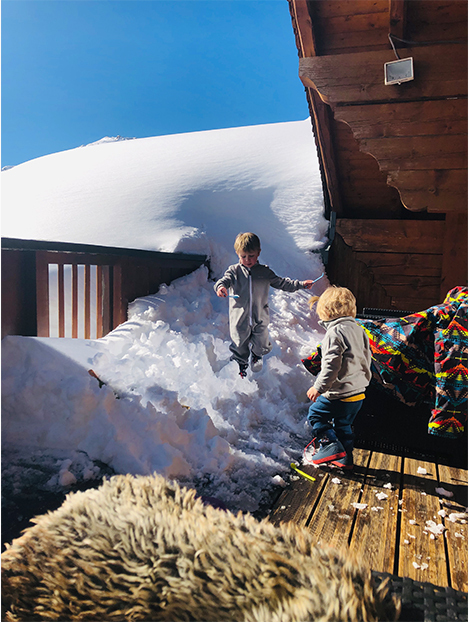 “I’ll be honest, when we first looked at kitting the boys out for a cold weather holiday and the possibility of ski lessons thrown in, I was a bit stumped about where to shop for necessities. While my focus was mainly on practicality and warmth, I didn’t want to buy anything stylistically I wasn’t 100% sold on because otherwise, I knew I wouldn’t re-use it once we returned back home or be happy spending money on it in the first place. This is where Alex and Alexa came to the rescue. Already my favourite place to shop for my two sons away from the high street, Alex and Alexa is packed with stylish, and still most importantly, technical gear for little ones in the cold weather. 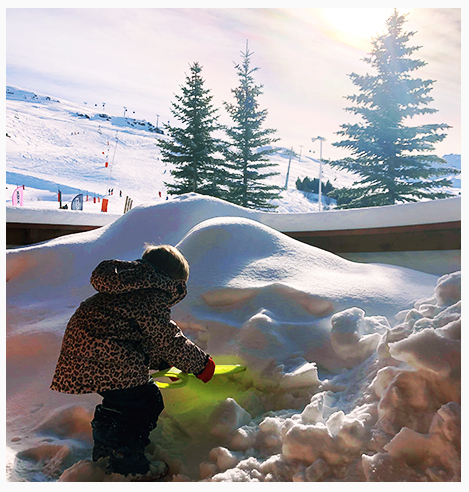 Whether it’s skiing trips in France, walking holidays or just good ol’ weekends in the English winter spent trudging through muddy puddles, they’re armed with loads of suggestions. We went away for a week and while suitcase space was a bit of a faff because preparing for cold weather always is, knowing that I had really lovely options for the boys meant I didn’t feel the need to substitute with tons of layers and jumpers. 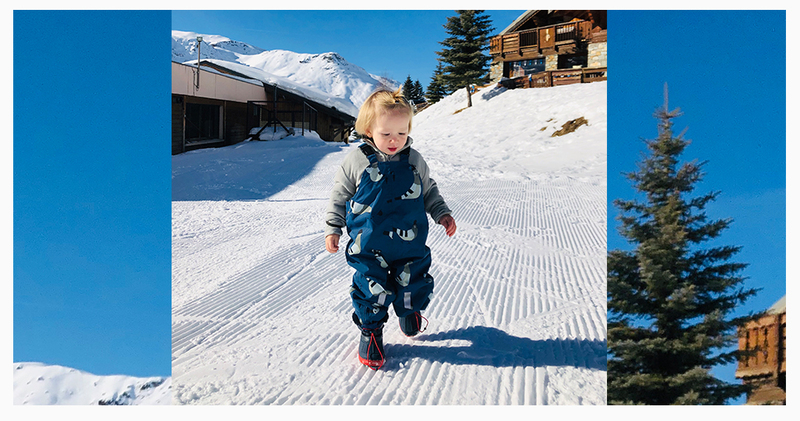 I knew we had enough and that everything would translate from being active to getting cosy back at the chalet, so in one fell swoop the children’s outfits were sorted. When we first began looking at ski wear (salopettes, technical coat, gloves etc) everything seemed bold and bright but ultimately, plain. 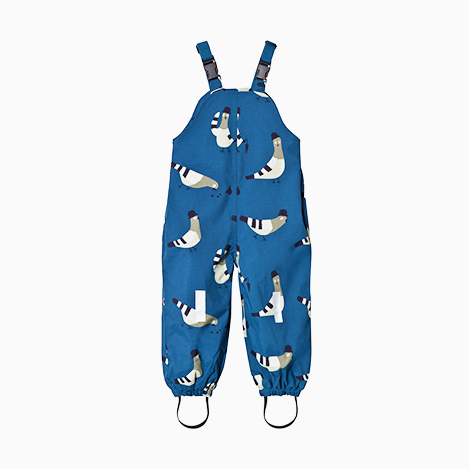 When these Tiny Cottons snow dungarees were suggested, I couldn’t have been more thrilled. We shop with this Spanish brand all the time anyway (we actually bought the leggings with this print a few weeks ago) and at just over £50 thought they were really good value for money. 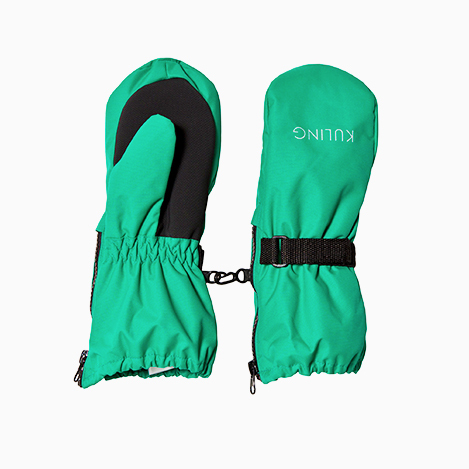 They’ve got adjustable straps, foot loops and with the extra padding, Rex could wear his with just a fleece underneath (and he preferred that much more to a bulky coat). Glove-wise, Kuling know where it’s at (and actually I’ll be singing their praises throughout). I was concerned about the boys keeping gloves on but with zips up each side, I could ensure all digits were properly placed before securing and it meant snowman building without getting horribly cold. We did a lot of just playing in the snow (because both are too young to get stuck in to the ski scene yet) so this allowed us to get creative without anyone complaining their hands hurt. 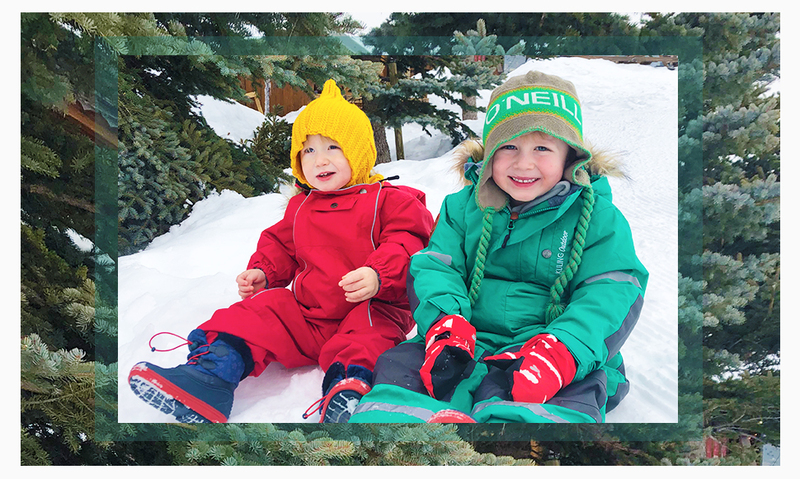 For the days where it was actually snowing and during ski lessons, the boys wore these ski suits by Kuling. Again, really competitive price wise and so cosy. While both took a while to adjust to their new surroundings, neither mentioned being too cold at any point and while padded, they could still run around and they weren’t a pain to get on and off. The hoods were roomy too and everything was fully waterproof so they’ll be ideal for the rainy months back home during dog walks. 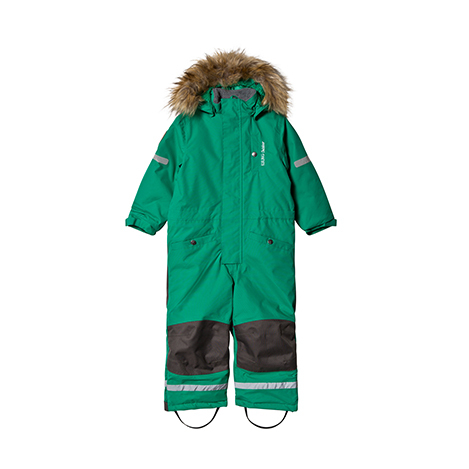 Alex and Alexa is packed with stylish, and still most importantly, technical gear for little ones in the cold weather. When it comes to funky prints and stand out style, The Brand came in to play. 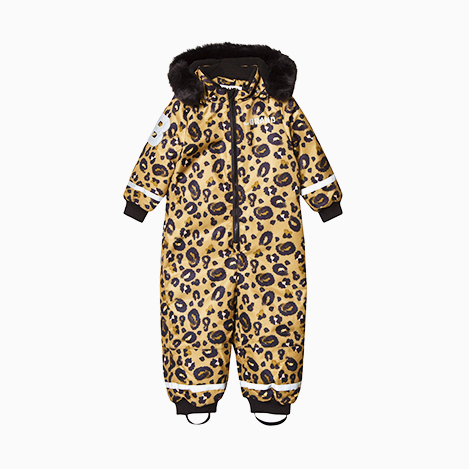 We had SO many comments about the matching leopard print snowsuit and jacket and we didn’t spot anything similar on the slopes. 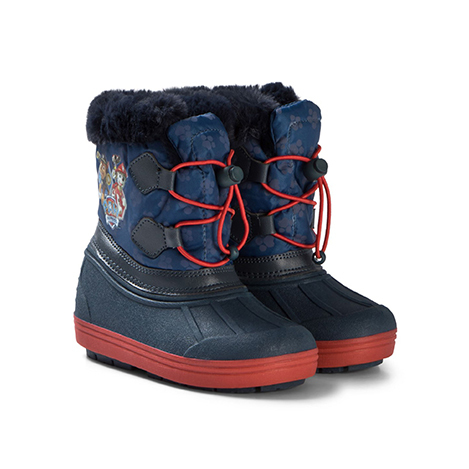 Once again, fully waterproof, wonderfully warm and with faux fur lined hoods. 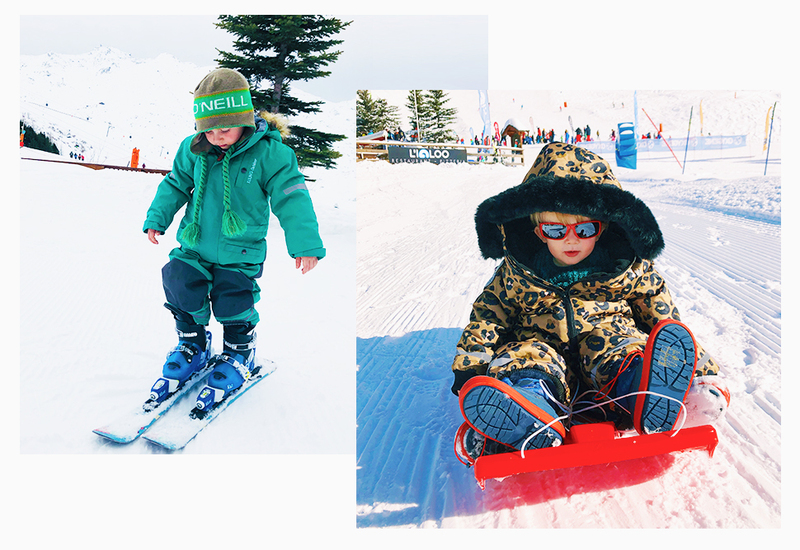 Milo wore his jacket with these plain black salopettes to his first ever ski lesson and even the instructor made a point of saying how cool he looked which he was made up with. From Kuling to The Brand, Tiny Cottons and so on, so much of what’s available in the Alex and Alexa Ski Shop is unisex (and this also makes it so much better for hand me downs). 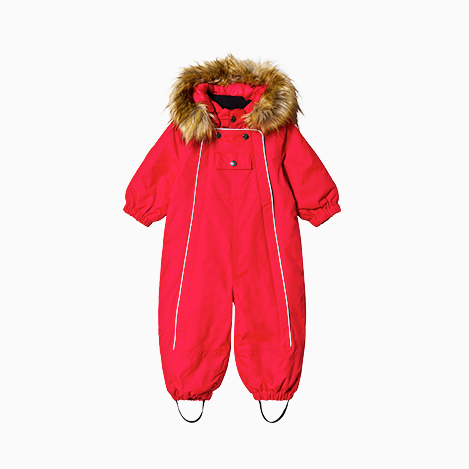 We also made a point of stocking up on some decent layering to pop underneath the technical items and after playing outside, no changing was required; they just whipped off the outdoorsy garms and kept the fleece and wool sets or onesies on until bedtime. 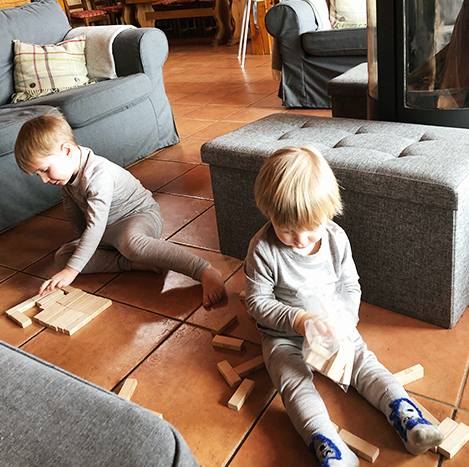 I actually went home with quite a lot of clean clothes for them because they were just content in rocking the same stuff (I also think it was quite a novelty for them to be ‘twins’ clothes wise for the week!). 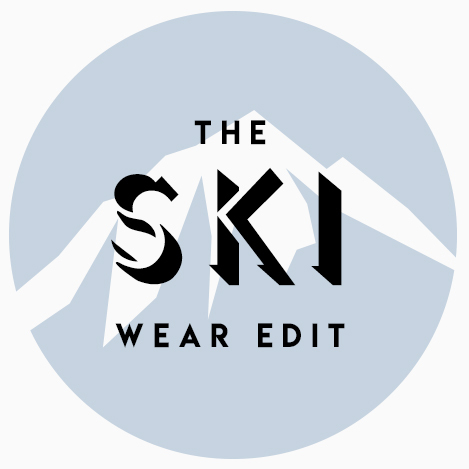 Again, while at first I worried purchasing a tonne of ski wear might mean forking out for items they’d only get to wear once or twice, all of this will be perfect for autumn and winter at home as well as trips abroad. We’ve not packed any of it away in to storage yet because they’ll still get plenty of wear out of them and quality wise, hand me down central is on the cards.